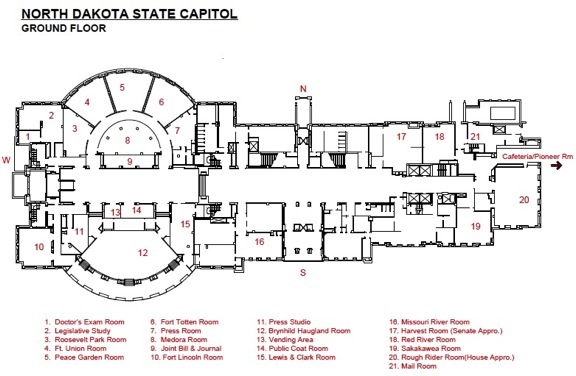 North Dakota State Capitol meeting room locations. Missouri River Room is #16, bottom-center of map. Tomorrow, Thursday, February 7, 2013, at 1400 hours (CST), North Dakota Senator Connie Triplett (District 18, Grand Forks) will collaboratively sponsor SB 2341, a bill that seeks to carry out an archaeological and historic-archaeological study on the Killdeer Mountains in Dunn County, western North Dakota. I’ll be attending this hearing (it will take place before the Senate Government & Veteran’s Affairs Committee in the Missouri River Room), and Triplett has circulated an e-mail asking historians, landowners, archaeologists, Natives and others for testimonies to support this bill. The Killdeer Mountains figure into our nation’s history and the US-Dakota Wars that spanned from 1862 in the Minnesota River Valley, and carried on through 1864 at Killdeer Mountains in western North Dakota. 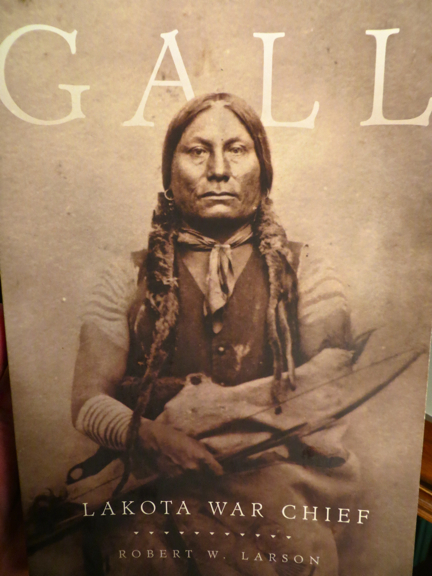 Taken from the cover of Robert W. Larson, “Gall: Lakota War Chief” (Norman: University of Oklahoma Press, 2007). What we know right now about Killdeer from 1864 is limited (the State Historical Society of North Dakota has a nice and thoughtful write up of it here), and further archaeological and historical research is needed. It was an action between the Union Army and various Dakota nations, and some key players involved were Sitting Bull, Inkpaduta, Gall (among others), and General Alfred Sully and his Union soldiers. In many ways, just as this nation recognizes and respects fallen Union and Confederate combatants and non-combatants, this nation owes it to honor the Dakota soldiers and non-combatants killed in Dakota Territory during the Civil War. To extend this honor requires and necessitates a deliberate and culturally sensitive systematic archaeological and historical study like the one proposed in SB 2341. We understandably honor Americans that have fought and died in 21st century warfare, and we ought to also be honoring and rescuing those fallen and forgotten from the Killdeer Mountains from July 1864. Note: according to Sioux County Veterans Service Officer Roster, today in 2013 Standing Rock has a veteran population of 357. This entry was posted on Wednesday, February 6th, 2013 at 6:02 pm	and tagged with Connie Triplett, Gall, Inkpaduta, Killdeer Mountains, North Dakota, Sitting Bull, Veterans and posted in Uncategorized. You can follow any responses to this entry through the RSS 2.0 feed.